Why is my gist's language classified as "Other"? 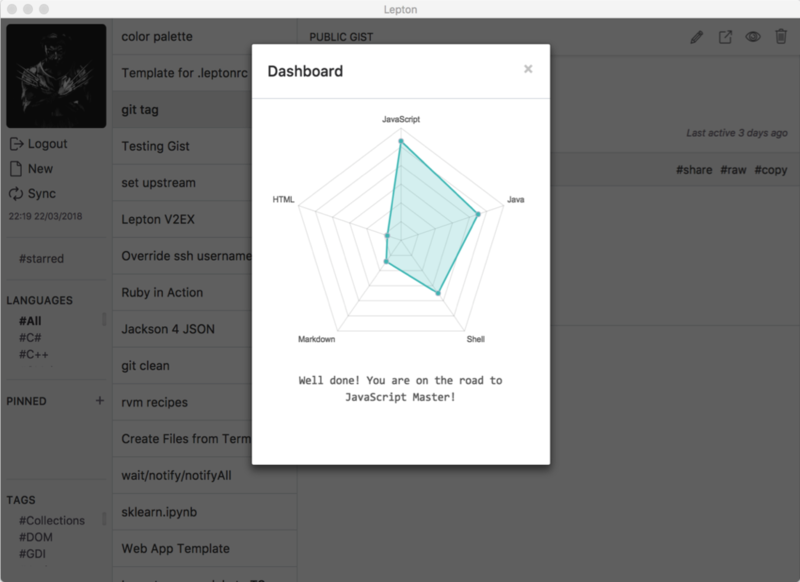 Lepton depends on GitHub API to detect the language. 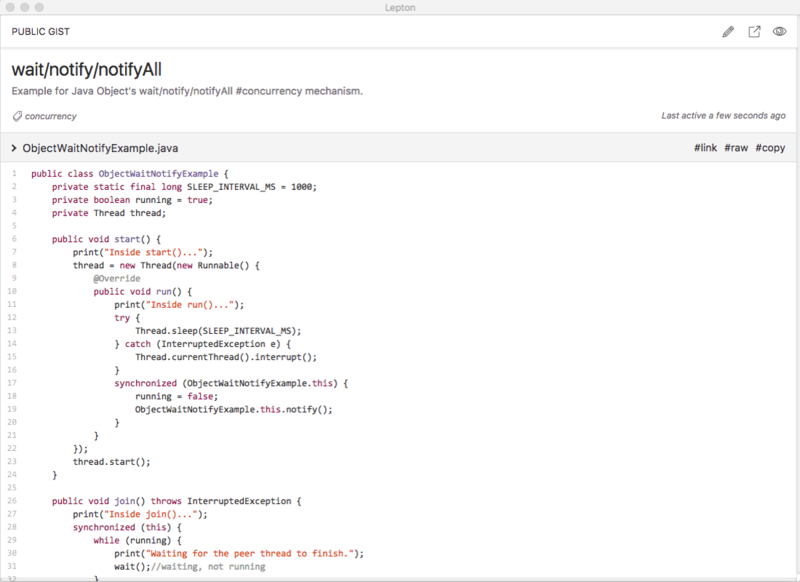 If this fails, you can put "// vim: syntax=<your_language>" at the top of the gist to specify the language. How to specify the title and tags for my gist? Follow the format [title] description #tag1 #tag2 in the description field. 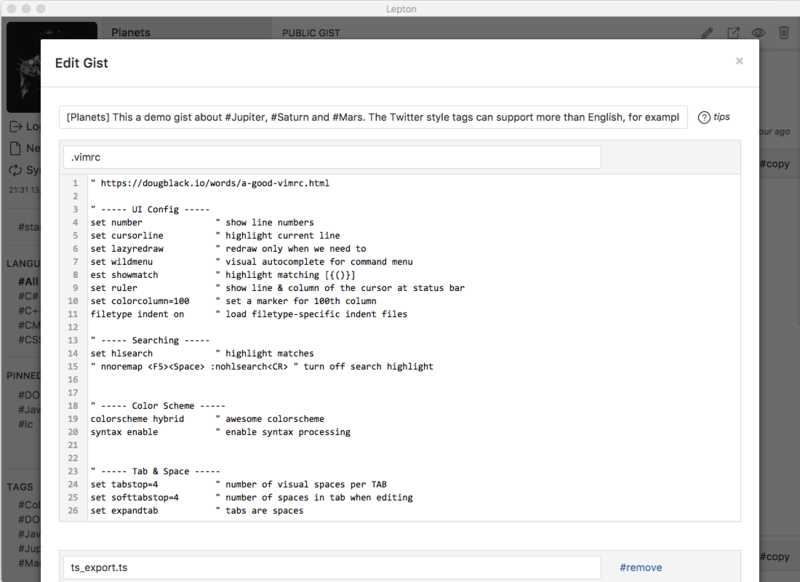 Lepton provides a formatted description section, which adds title and tags support. You can group your gists based on their languages and custom tags. 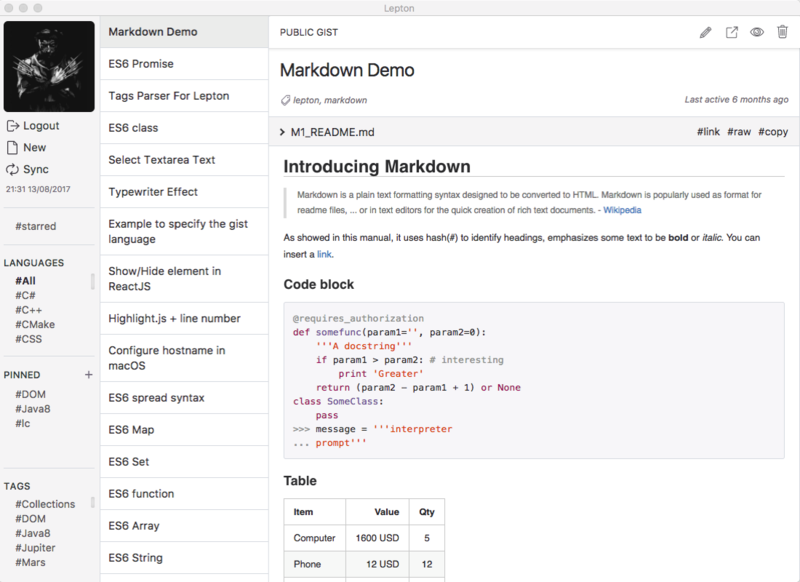 Markdown files will be rendered automatically. 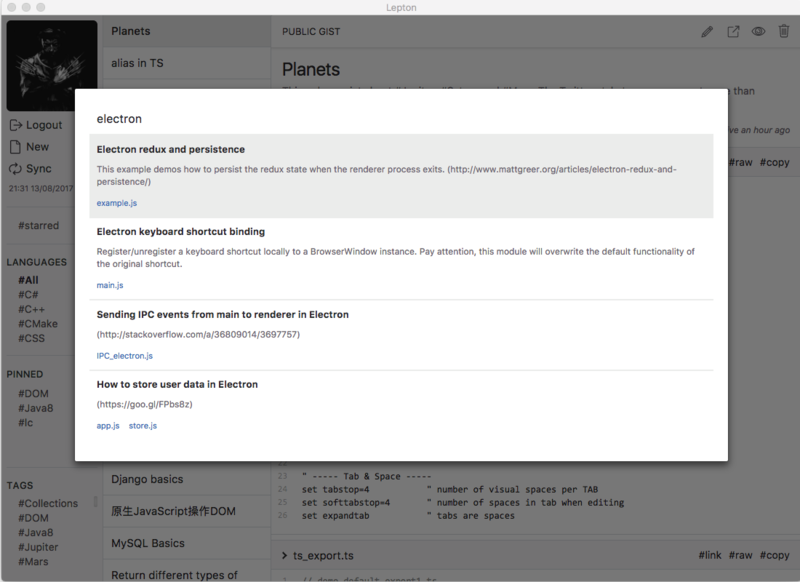 As a bonus, you can use Lepton for markdown note taking and access it everywhere. 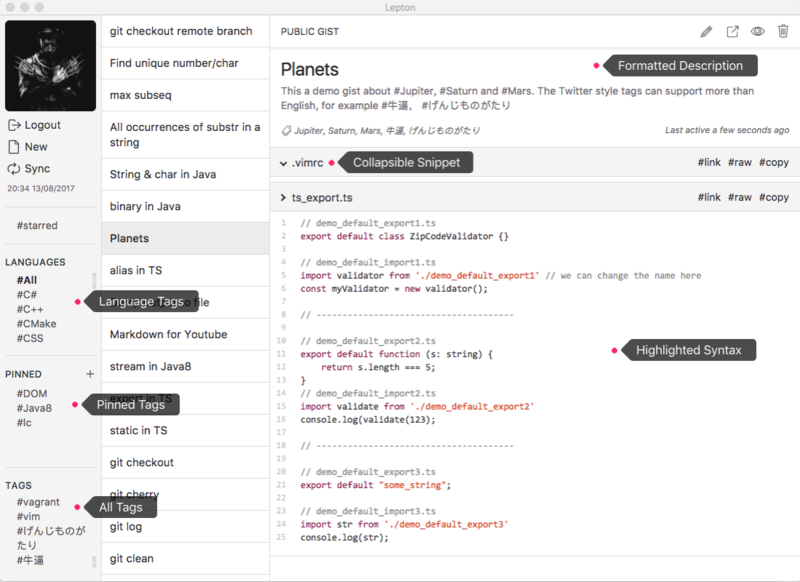 Instant search for your gists ("Shift + Space").